Bottles of this are about as easy to get hold of as unicorns with wings so the fact that you can try a glass of this at Territorio Era (but hurry, this was his last bottle) is remarkable even by their standards. On the other hand, the expectation and hype that has been generated – most recently a 19/20 from elmundovino – would be almost impossible for any wine to live with. Not to mention the buildup – despite the occasional sighting in the last 18 months its official release has been delayed and delayed due to wrangling about whether it can be called an oloroso. 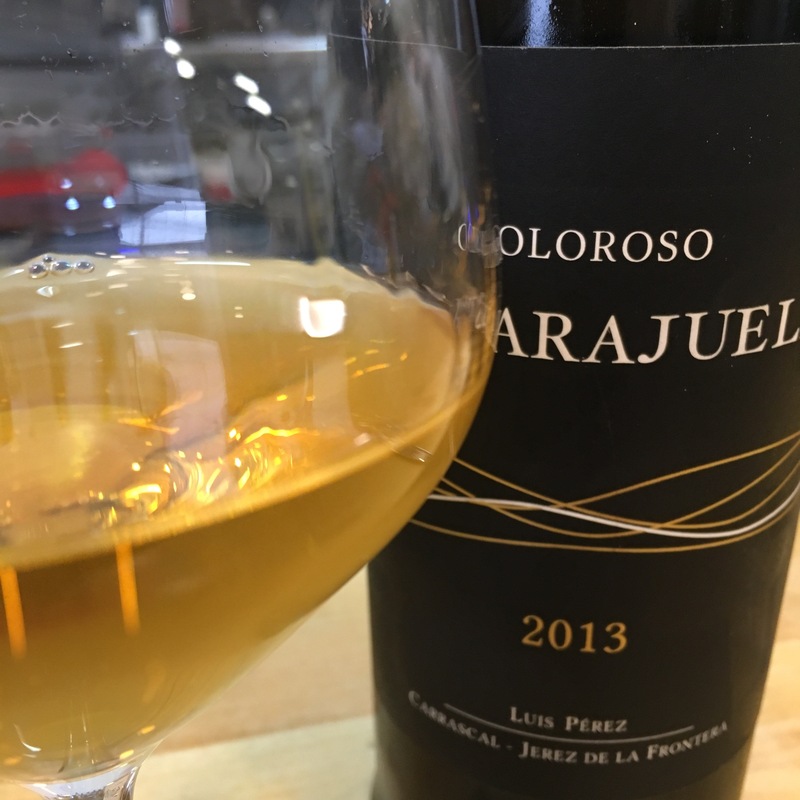 And in defense of the DO you can see why – the oxidation, the barrel and the concentration haven’t taken over here as they have in the olorosos you may be accustomed to. Rather, the dominant characteristic of the wine is still its fruit, with a nice depth of minerals and a richness from those four years of oxidation. The result is by far the finest white wine I have had from Jerez. It lacks the sizzling profile of its younger brother, the fino, and struck me as less potent than I remembered – slightly closed on the nose and not as much power in the middle – but what it might have lacked in power it made up in character and elegance. Given time, both the nose and the palate had a delicious richness of nuts and dried fruits, almond tarts and the like, all in a nice profile with a very long middle and finish. A really outstanding wine. I would drink gallons if there were any available!